Growing as an artist, one blog at a time. This week I did quite a bit of painting, as my husband is away in the field (for those of you who are not military, that’s Army camping/training). I did two small daily paintings and then worked the rest of the week on the dailypaintworks.com challenge of painting values in black and white. I’ve been wanting to paint portraits ever since I can remember, but so far I have found it very difficult to capture the likeness in drawing and especially in painting. 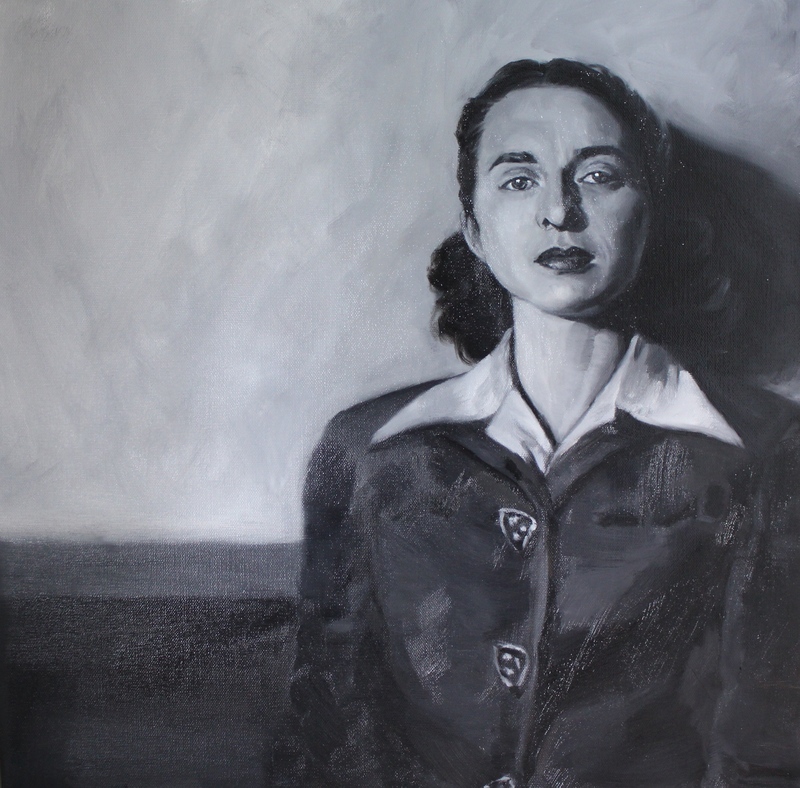 When I decided to paint a photo of my grandmother, Rita, I was very nervous because I did not want to “mess it up” and be discouraged from trying again, especially because she was a very important person to me and I wanted to do her justice. Although I did not capture her likeness, there was something magic about spending this time with her. I have always wished I looked more like her, but as I tried in vain to capture her features exactly, I noticed that I did inherit more than her artistic ability: the shape of my face, jawline and cheekbones, is very like her, and we both have an “outline” around our lips that defines the shape. And although I did not know my grandmother this young, there is something about the proud lift of her chin and the strength in her gaze that makes me feel I would have really liked her as a person in addition to the love I feel as her granddaughter. I was blessed with the best grandparents, and although I miss them every day, I know I am lucky to have had them in my life. While painting this portrait of my grandmother, I realized that I will not have a problem making more attempts at painting them until I am finally happy with the results, and I am very fortunate to have this special way of spending just a little more time with them. I only wish I could show them how much I’m learning…they were always my biggest fans and supporters, and my grandmother’s appreciation of my artistic efforts gave me such joy growing up. I’ll keep painting you until I get it right, Grandmommy, I promise! This painting frustrated me so much. I wiped it off and went into a depression for the rest of the day. Working on my emotions regarding painting failures!! Daily Painting #8: Hawaiian Stilts. This was more fun to paint…although water is hard!! Love these birds…only got one photo before they flew away. To break up my “serious” art studies, I have started doing mixed media journal pages using the books Art Journal Freedom and Art Journal Courage by Dina Wakley for inspiration and techniques. I don’t have a lot of experience with doing this type of artwork, but it feels a little bit like doing art in elementary school…which means it’s fun and uninhibited, just splashing and scribbling without worrying too much (I’m trying). After a difficult day painting, where nothing seemed to go my way and I was questioning my audacity at trying to be an artist, I decided to do a journal page as therapy. 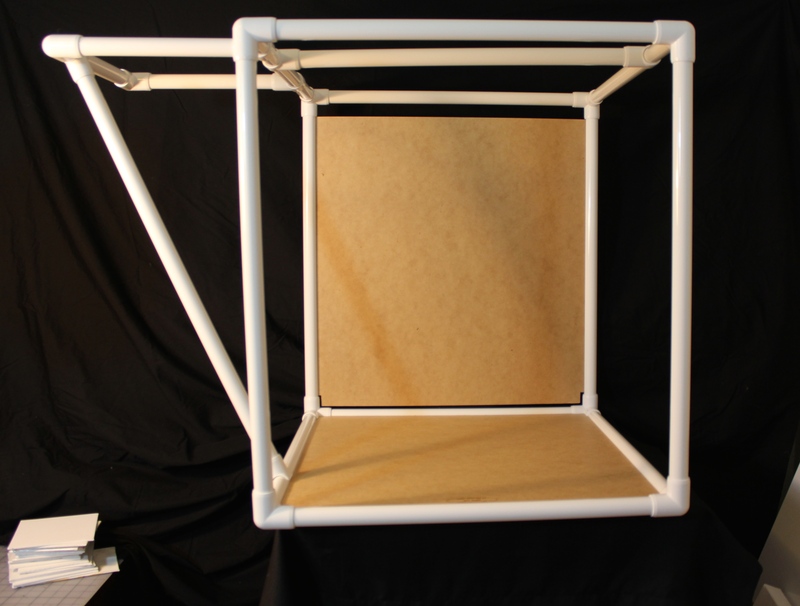 I needed a win…or at least to create something without the stress of drawing accuracy. Of course, it’s still good to consider colors, composition, and all the rest of art’s “rules,” but when doing journaling I get to consider my mistakes as happy accidents that contribute to a unique look…and sometimes that is just what I need. So I got out old materials I haven’t used in years (or let kids use at will) and some new additions (is there anything more fun than shopping for art supplies? Not much): markers, acrylics (still getting used to those), stamps, pastels (love! 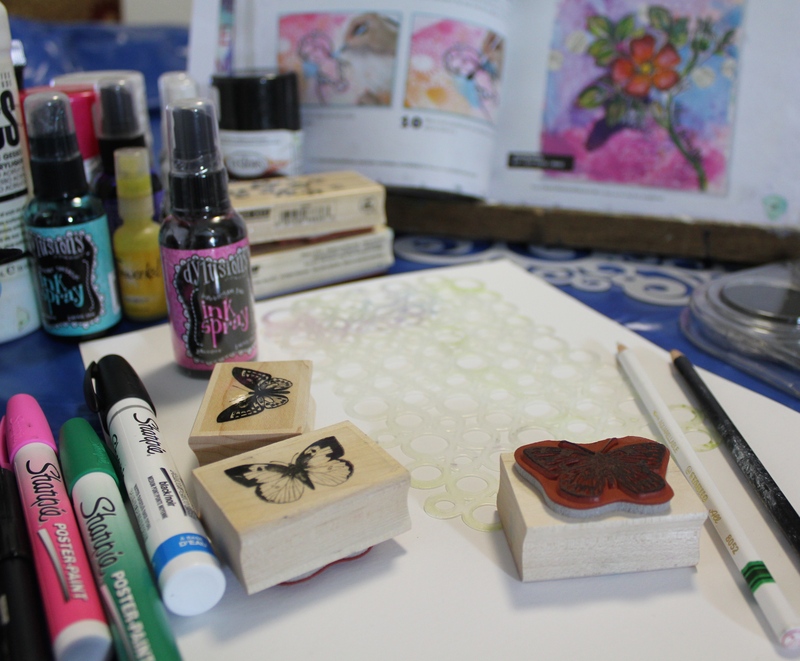 ), crayons, watercolors, inks, stencils, gesso, spray paint…pretty much anything goes. Reading through an exercise in the books, I happily make a huge mess on my dining room table creating a journal page. Of course, I still worry too much about how it turns out, but it’s a journal page, not a “serious” art piece, so I tell myself to relax. It’s so fun, and just what I need to balance out the stress of my other, more demanding art classes, while still being creative. Win, win! I did my first “Daily Painting” January 15, and as of today have completed six. Although I have not been excited about anything I’ve done so far, I am definitely learning quite a bit…mostly about how to keep going even though I consider my work unsatisfactory. Honestly, I thought it would be easier for me, and that it would take just a short time to get “up to speed”…but painting has so many different elements that need to work together simultaneously to produce the magic I can see in my mind but can’t quite get down on the canvas. It’s going to take time for me to get a handle on them, and more than anything I’m trying to accept that. 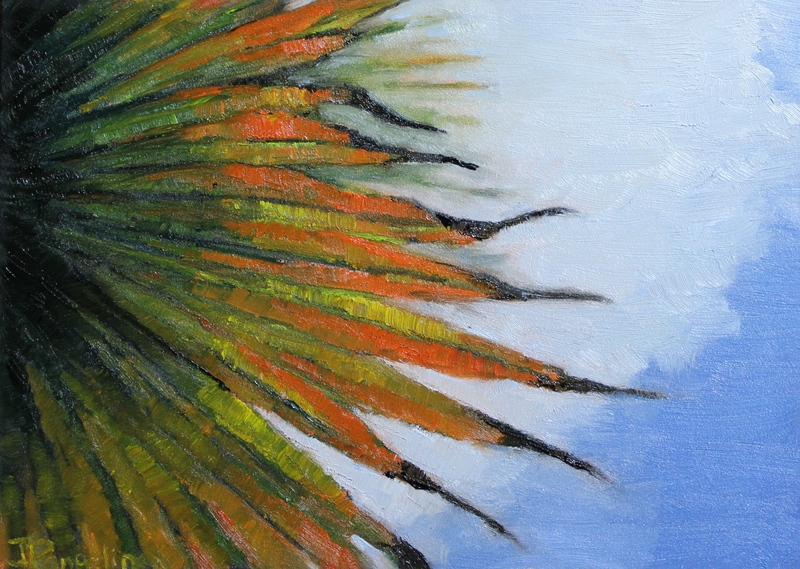 The point of Daily Painting is to paint small canvases often, reducing the pressure of painting larger canvases (more expensive, more paint, more time), which allows experimentation and leads to mastering techniques more quickly and discovering style. This makes perfect sense to me…except I’m just as likely to get depressed over a little canvas as a big one…but I’m working on that. I disliked my first two paintings very much, then filled my time with my drawing classes, and decided to give it another try last week. I found motivation on dailypaintworks.com, and entered two paintings in their “Give a Tree it’s Gesture Challenge.” For now, I appreciate guidelines and it helped get me painting again…and then my drawing suffered a bit! Ah…learning how to balance time between my loves…never going to get easier. I now realize if I wait until I love my Daily Paintings to post them, I’m not going to for a very long time…and this blog is about my journey, about what I’m learning, not about how great I am as an artist (dang it). So I’m going to notice what needs to be improved in each one, but learn to find something to like in them. I may still burn them someday, but I need this record of progress so I can believe I’m making some. Not fussing with the paint: I tend to muddy the colors by overworking them. This will get better as I’m able to mix the right color and put down in the correct spot. Easy to understand, but my biggest problem…I sneak and “scrub” in all my classes so far, when I need to discipline myself to lay down the correct color and leave it alone already. Drawing: I’ll be working on that for the rest of my life, but I do feel I’m improving with so much practice! Values: I can see them, now need to translate that to the canvas. Some of this comes from messing with colors too much, and drawing (painting over areas), causing the values to be too light. Subject/composition: I don’t lack for ideas, just getting them down right. I want to paint everything, but sometimes lose enthusiasm when I see my composition is wrong. Everyone says I’m hard on myself, and I don’t disagree…but I know I can do better than this, and I won’t stop until I can. I understand all artists struggle with all these issues (and more) their entire career, but I believe there will come a point when I’m more confident, and competent, and that’s what keeps me going. I’m not neurotic, don’t enjoy beating myself up, not seeking reassurance (won’t turn it down though)…but this realization that what I’m doing is not great actually keeps me stubbornly working. And there are moments of joy, and fun, and love…I do love painting even when it doesn’t love me back! So I’m posting all my Daily Paintings…even the ones I’ve wiped away. This is my journey, and it’s not perfect, but it must be what I need. I realize: I am so blessed that these are my problems, and I get to do art every day! 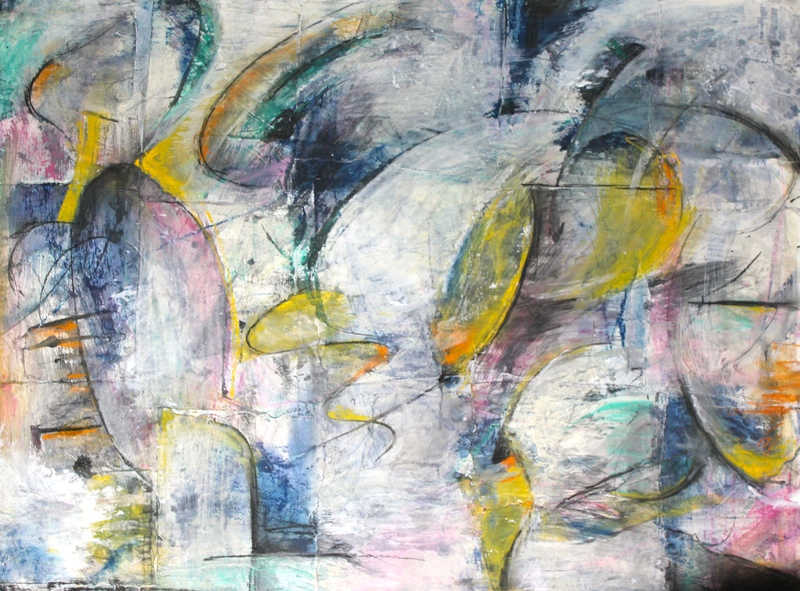 At first, I was very tense and unhappy while working on Abstract One. While I do appreciate some abstract work that other artists create, I stubbornly hold on to the fact that I only want to do work that is naturalistic, and I am drawn to the more classical styles of art. Last semester I struggled through two separate classes with discussions on the guidelines of abstract art (yes, they have them) and fought to create work that I didn’t want to instantly ball up and throw in the trash. I told myself I just needed to make it through the semester and then I would be able to move on to what I prefer to create. Now, I am surprised to admit that I miss a few things about those classes! I am currently doing Life Drawing and Master Copy painting, plus trying to squeeze in Daily Paintings of still life at home, doing studies of hands and feet in my daily journal, and many gesture and contour drawings for training the eye. This is a lot of work (I love it, but it’s still work! ), and the blessing and curse of doing realistic work is that I can see easily where I need improvement–and it’s clear I have so much to learn. This can get frustrating, and the only way to improve is to keep on drawing; but progress is slow! What I miss in those abstract classes was that I was forced to experiment with different mediums, and slowly I began to think about and appreciate art in a different way. It is very hard for me to relax and allow a project to develop without a clear plan…but after a while of working on the abstract (above) in class, I found myself in the “zone,” not caring about how it was going, just scribbling and pushing color around, until another student came over and commented on how much she liked it! I looked up in surprise, and although I was still confused as to why it got great compliments from my teacher as well, I thought: I guess it’s not that bad! I kinda like it! Either way, I have to admit it was fun to do, as soon as I just relaxed and abandoned expectations of perfection. I don’t know what my “style” as an artist is yet, all I know is the type of art I most appreciate and what I gravitate towards creating myself. I have always loved drawing and painting people, and I feel it’s safe to say I will continue to pursue painting in a realistic style. But I don’t want to box myself in yet…so I have decided to begin to do mixed media art in a journal to give myself the freedom to experiment, make mistakes and discover different ways to create. It’s unlikely I’ll ever become an abstract artist (I joke with my teachers that I might, because I fought it so hard), but I do hope to learn to allow myself to relax and stop being such a perfectionist…because the pressure of that can sometimes overwhelm me to the point of wanting to give up. That I just can’t do! I think playing with styles, textures and colors, like my Morning Coffee, may help me have a little fun, even if I don’t love the results…yet. Who knows what I’ll discover? This week has been all about drawing. And I mean drawing: I drew pretty much all day every day this week! I am currently taking two drawing classes, one Life Drawing (which I love…learning about anatomy and human form), and one independent study class where I am doing a review…catching up to where I “should be” in my drawing skills. Last semester, I took Intermediate Drawing because I had taken beginning drawing twice before in two different colleges…about 12+ years ago. Luckily, the focus was on abstraction and expression, so my out-of-practice drawing skills weren’t as obvious…but they were to me. I struggled way more than I should have to do a simple still life contour, and began to realize that I couldn’t just pick up where I left off. I saw the projects from Beginning Drawing posted on the walls, and realized I really should have repeated that class! This semester I decided to work with my drawing professor independently to work on becoming more confident in basic drawing techniques. There are many opinions out there on how important (or not important) accuracy in drawing is to an artist…but as I prefer the naturalistic (realistic) style, it’s very important to me. I don’t mean that I will never modify what I see, but I want it to be a deliberate choice, not because I can’t draw accurately. I’m a believer in that to break rules correctly (effectively, beautifully), you first have to master them! The textbook we’re using is Drawing Essentials: A Guide to Drawing from Observation, but this week my professor had me doing the schedule from The Natural Way to Draw. I resisted this at first, because I hate doing “blind” contour drawings. I have never been able to understand how not looking at my paper will ever result in accuracy in drawing…but my professor promised that I will see results. 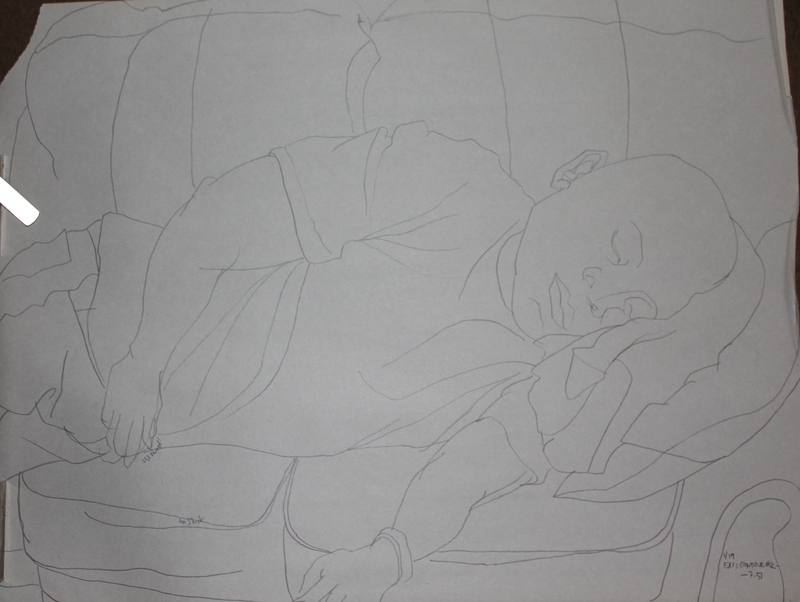 My son trying not to be creeped out by my staring intently at him for half an hour (contour drawing). And I hear again: it’s not about the product, but the process, and it’s all training the eye. So…I did two three-hour (almost) sessions of modified blind contours and gesture drawings (another of my least favorite scribble drawing methods), and will continue doing it as often as I can…and I actually had a little fun with them! I’ll have this digital record of this year to show me how much progress can really be made by this type of practice. I am learning to appreciate how staring at something for an hour can increase observational skills: I know way more than I wanted to about my son’s headphones. I really need to work on patience and slowing down. I so appreciate my son, husband and standard poodle for posing for me…OK, my husband didn’t know for a while, but I’m pretty sure he was fine with it. Posting these less than flattering contour drawings of my husband (and son) might be considered payback for unauthorized Facebook postings of me, but I’m not that petty. It’s all for my art, truly. 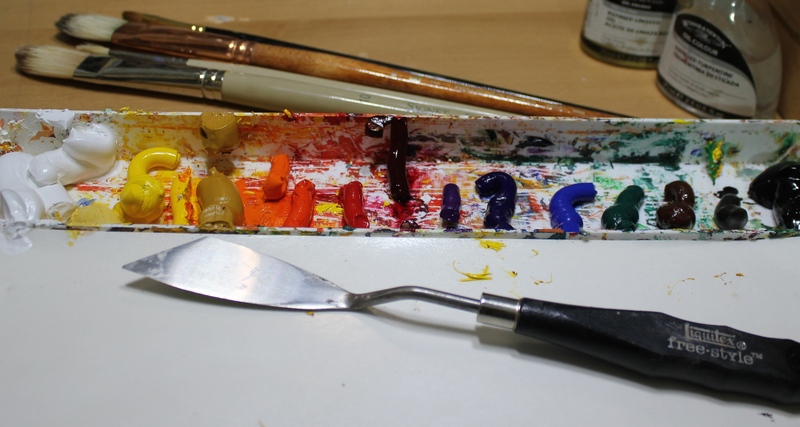 The title of this blog may lead you to believe you will see an actual Daily Painting. I hate to disappoint you, but after struggling with my 5×7″ canvas board for most of the day, I needed to admit to myself that I’m not ready to display my work on these deceptively difficult still life paintings. In the last two years, I’ve taken five different painting classes, and painted approximately 20 canvases of various sizes. I feel as if I should have a better handle on the material and methods of painting by now, but so many times I face a blank canvas and feel like a complete beginner. When the process doesn’t flow smoothly, my tendency is to allow negative thoughts to destroy my confidence and I begin doubting myself and my future as an artist. SO, I have about 480 paintings to go. I’m an impatient person, and want to get better faster, so I need to just put my head down and do the work if I expect to be a working artist some day. 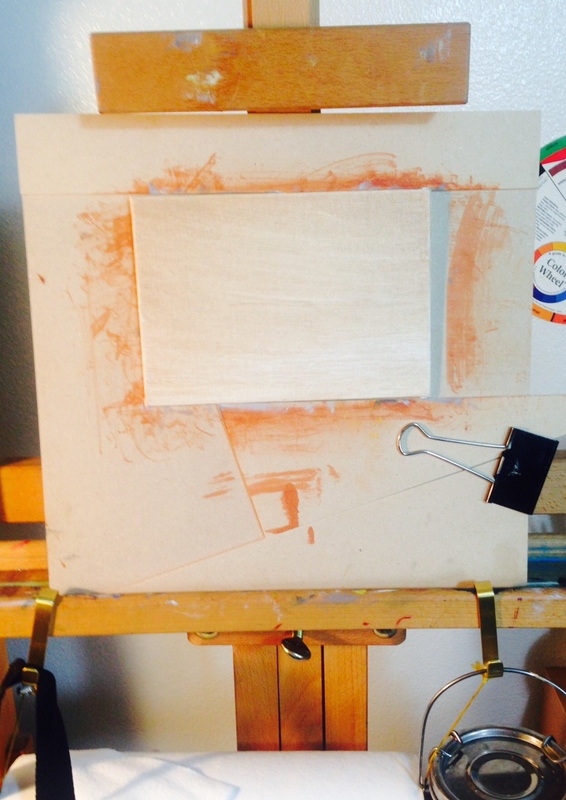 What remains of my Daily Painting…If at first you don’t succeed, try, try again! she wiped plenty of her canvases off after an unsuccessful session. I quickly went over and did the same to my unsatisfactory attempt, and felt much better! For me, it’s mostly about attitude and the stubbornness to keep going even though it’s not easy. If it was, everyone would do it, and I just can’t to do anything else. Last Monday I started my Master Copy Class at Zwick Academy of Fine Art, in the tradition of learning by attempting to replicate a master painter’s work using their methods. The class ends March 9th, after which I will show my finished study and the weekly progress photos. Showing progress week by week would be too painful for me, as there are certain stages where my paintings just look a mess! 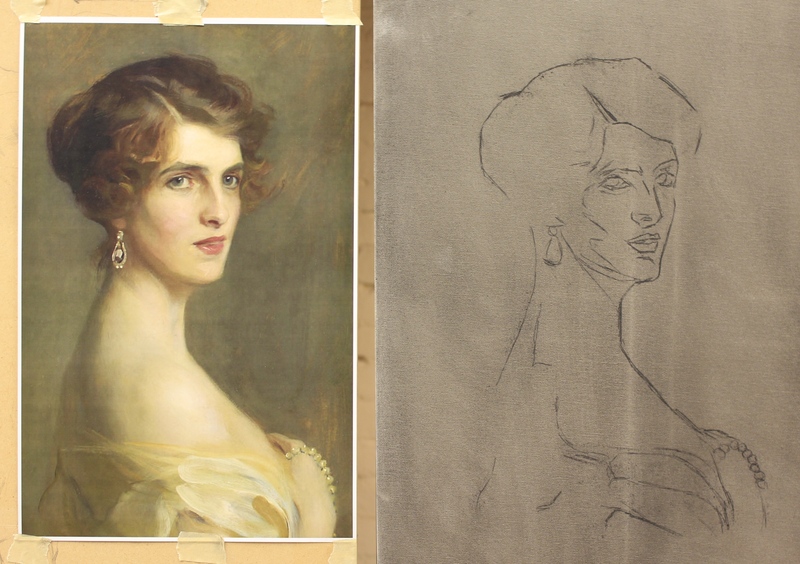 This is my beginning, which is a tracing transferred to a grey-toned canvas: John Singer Sargent’s preferred ground. 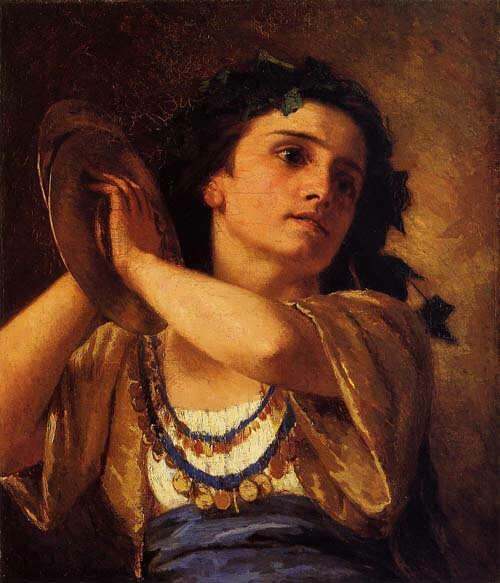 I have looked everywhere for the title of this painting…but can’t find it. If anyone knows, please post a comment. Doing master copies is one of my favorite ways to learn to paint or draw. The original artist has already worked out the complicated issues of translating a 3D subject to 2D, and trying to follow along helps me learn so much about how the media is handled (brush strokes, thickness of paint, etc. ), color choices and composition. Although I do my best to produce a faithful copy, at some point the painting becomes my own–for better or worse. 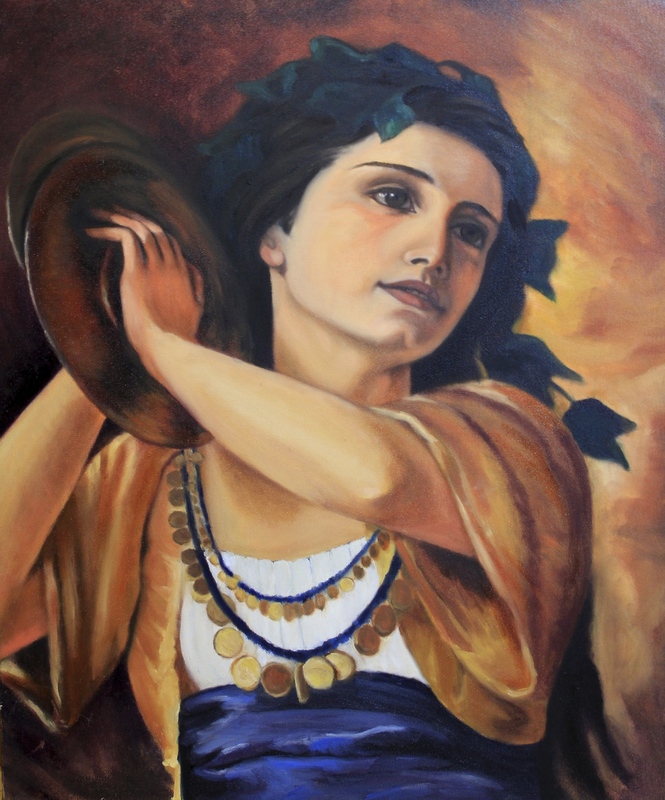 Two semesters ago in my Intro to Painting class, I chose Mary Cassatt’s Bacchante as my Master Copy Project. I see many things that are incorrect (wow…so many things) with my painting now (on the left), but I learned so much from the attempt! Tomorrow, I begin my Intro to Life Drawing class at Leeward Community College. I’m very excited and feel so fortunate that my days are filled with learning everything I can about drawing and painting…really, it can’t get much better than this (not to brag…too much)! By the way, if you click on the link to Zwick Academy of Fine Art, you’ll see a photo of me drawing my cast in the Admissions tab (and other places) from the Summer workshop. I really recommend attending any of the workshops if possible: like I’ve said before, I have learned so much from them and believe they are terrific for anyone who is serious about improving their skills in drawing and painting. I want to admit a personal problem: I buy waaaay too many books. I have moved many times within the last six years as an Army wife, and found that reading books on Kindle is a terrific way to avoid overweight charges or having to sell my precious books for a quarter in garage sales. 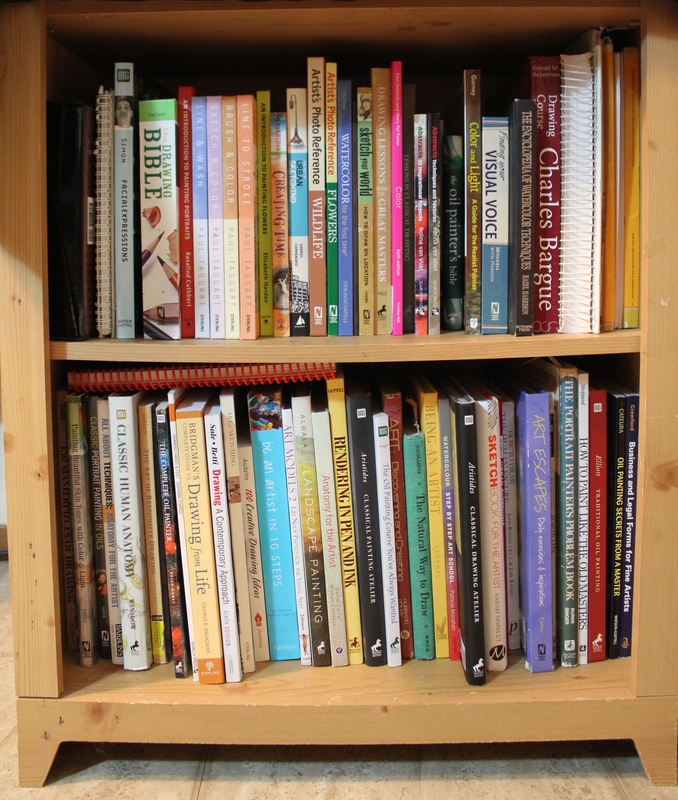 There are two types of books I can’t stand to read on a screen: cookbooks and art books. I dread the next move when I need to weigh the new books I’ve accumulated in the two years we’ve lived in Hawaii. With instructional books on art (art lessons, techniques, etc.) I may actually do one or two of the exercises, scan the rest, and put it aside to do more “later,” which may or may not happen. 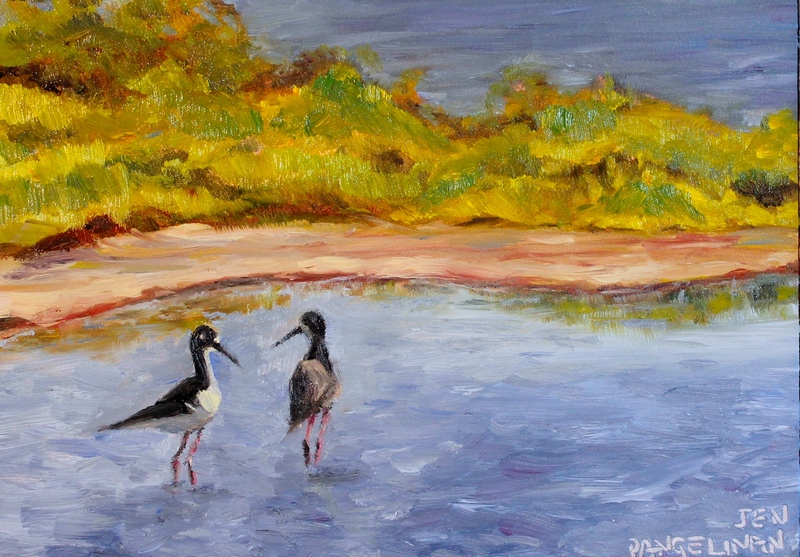 My latest favorite is Carol Marine’s Daily Painting. My painting professor expressed many times that the best way to improve as a painter is to paint frequently, daily if possible, but with my other classes last semester I actually painted les s…so when I came across this book when guiltily scanning Amazon for new books on art, I ordered it right away. I read this book from cover to cover, checked out her website, dailypaintworks.com, and am determined to use the wealth of information Carol Marine generously shares to get me painting on a more regular basis, if not every day. The chapter on artist’s block alone is worth purchasing the book in my opinion; I have bookmarked it and will re-read it any time I get stuck or feel overwhelmed by everything I’m attempting to learn and briefly consider moving on to something easier…which happens more often than I’d like to admit. 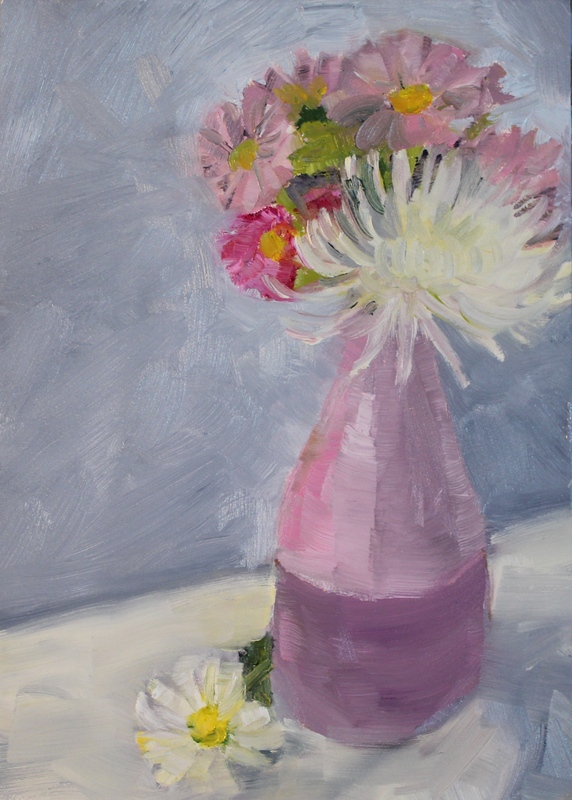 I purchased the Still Life Stage from Connie Nobbe Fine Art http://connienobbe.foliosnap.com/#still-life-stage, inspired by the set up Carol Marine uses for her daily still life paintings…and I just got it today! I love accumulating new art equipment as much as I do art books, and I’m pretty excited about the new addition to my little studio. 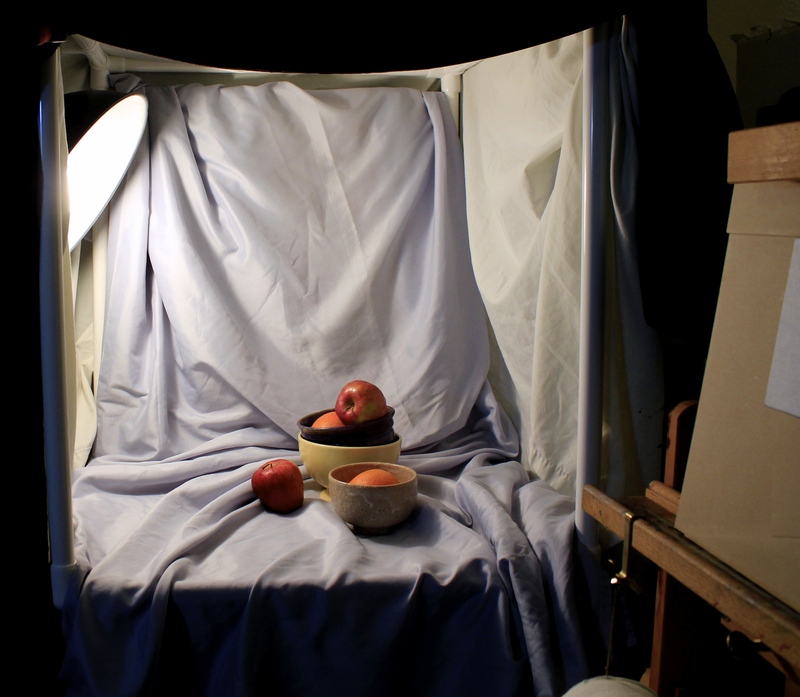 First I assembled the Stage…very easy as I could do it myself…and then I set up a quick still life to see how it would look. My draping needs work, but overall it’s great! Now there’s no excuse for me not to get going on Daily Painting…at least Friday Painting as I have classes every other day of the week. Hopefully I’ll have at least one painting I’m not ashamed to post on this blog next week. Wish me luck! Blank Canvas, Empty Stage…not scary at all! 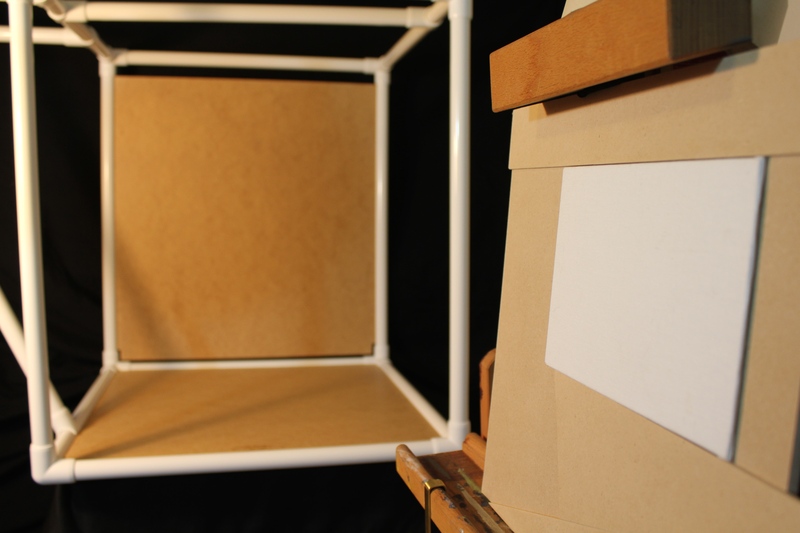 This summer, I took the best course I have ever attended: the Summer Workshop at the Zwick Academy of Fine Art in Honolulu. For six weeks, I and six other students did cast drawings from 9am to 12pm, and painted from a model in the afternoon. This was all done in sight-size, something I had read about but never attempted. I must admit, at first I thought I would be bored and/or finish the cast drawing long before the six weeks were up…and although many times I did feel like I wanted to slam my head into the wall it was never because I was bored, but frustrated I couldn’t draw what I could clearly see in front of me after staring at her face for hours on end. 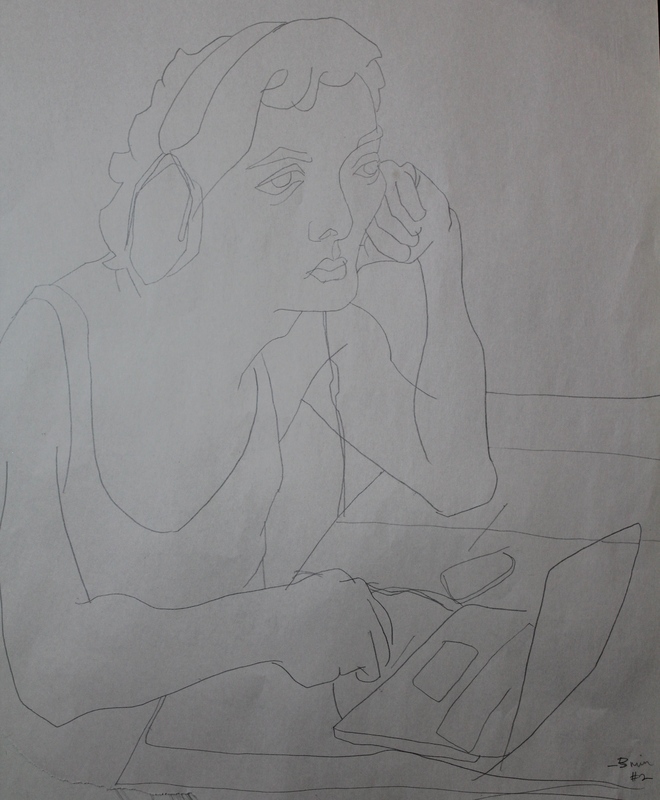 But it was worth it: this is the first drawing I’ve ever done that is a very close likeness to the subject! I wish I had taken a picture of the cast from this angle…I guess you’ll have to take my word that my drawing does look like the cast…uh, trust me? This process was painful at times but taught me more than anything else I’ve ever done, and the results were definitely the most satisfying personally. The painting was much more difficult than cast drawing-after all I’ve been drawing all my life, but just began painting a couple of years ago. I am still clumsy with mixing colors and frustrated easily with decisions on how much medium to use, which brush, thickness/tackiness of paint, etc. : still very much a beginner as a painter. 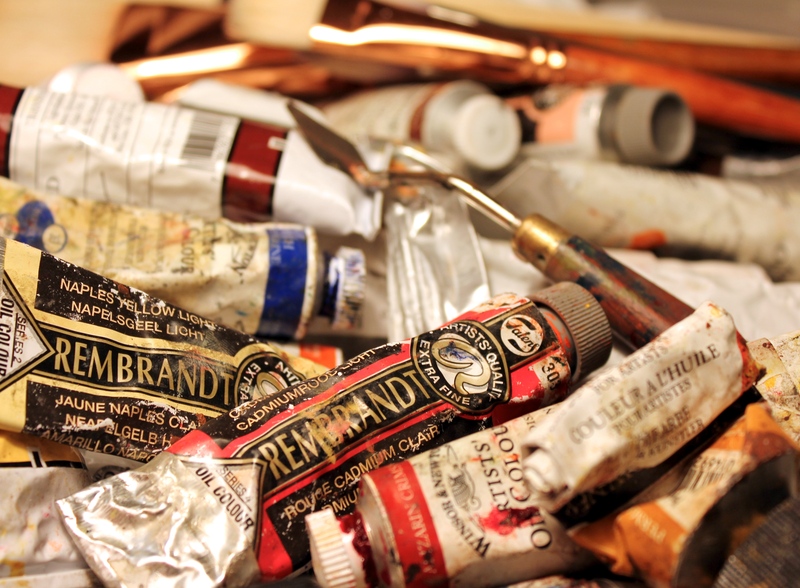 I fell in love with oils the first time I used them…the texture, the way the paint blends, the colors, the smell…but my relationship with painting can be extremely rocky. It can be love/hate, changing from one to the other very quickly…I wish I could say I always have a great time, but the truth is sometimes it can break me down. I just can’t give it up, even though during this painting (and others since, I admit) I would ask myself why I torture myself in this way. Then, there are those times where it flows, where I’m just filled with the love of painting that is hard to explain to those who don’t paint…and even though I know I have a long way to go before I am a great painter, I am so happy and fortunate that I have the opportunity to learn to do what I love. Tomorrow I’m taking a Master Copy class at the Zwick Academy: one of John Singer Sargent’s paintings…so excited to get back into training! For my first blog, which very few, if any, will read who are not related to me, I still think it’s best to introduce myself. Much of this can be found in my awkward “About Me” page, which along with everything else in this blog will (hopefully) improve as I learn more about blogging and clarify it all for myself and anyone else who stumbles onto this blog. It’s the time of year for resolutions, which experience has shown me are never kept and so I never make them. This year is different in many ways, because my life up to this point has been working towards achieving the old goals (dreams) I had when I was very young and optimistic and believed I could do anything…until my choices led me down a different path. My art career was put on hold until the last few years, when I made the decision to return to school. I am now fortunate enough to attend full time classes at Leeward Community College and now University of Hawaii at Manoa (next semester) with kids my adult children’s age, which has been strange, stressful and fun…and I take every chance I get to remind those kids it’s better to get college out of the way in the 20s than 40s. 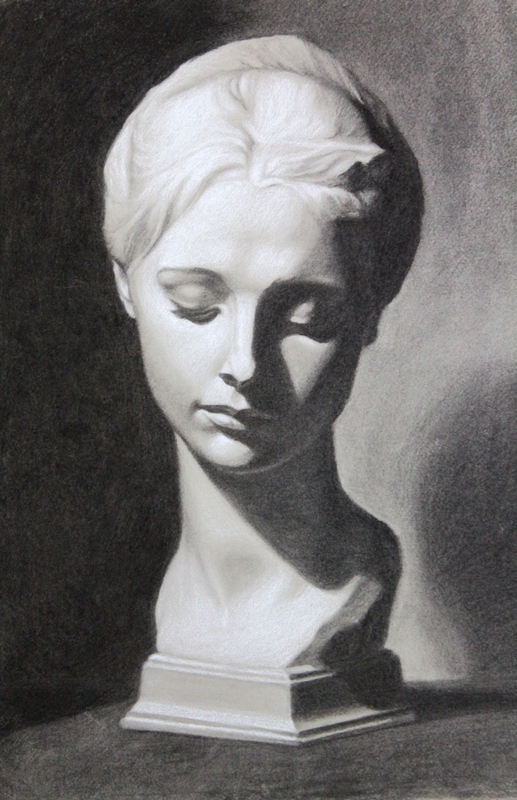 I also attend the Zwick Academy of Fine Art in Honolulu for classical realism training workshops in drawing and painting, which is more to my liking than contemporary art…although after struggling though Intermediate Painting and Drawing classes I have a respect for modern art if not an aptitude for creating it. I give my professors credit for their patience with me in those classes. I intend for this blog to keep me motivated, productive and accountable to myself and those who support me in my goals…because even though art has been my passion throughout life it has been too easy to find reasons to put off learning and allow challenges and negativity to prevent me from making it my focus. 2015 will be the year I get serious, push through doubts and do everything I can to work towards achieving one of my oldest goals: becoming an artist. Please be patient as I work though the blogging learning curve. After I compile a body of work, I plan on connecting with a couple of art communities to sell the best of what I create. Thank you for coming along with me on this journey through my classes and weekly painting studies, and please feel free to give me feedback (I cry easy, so please be nice) for improvement!